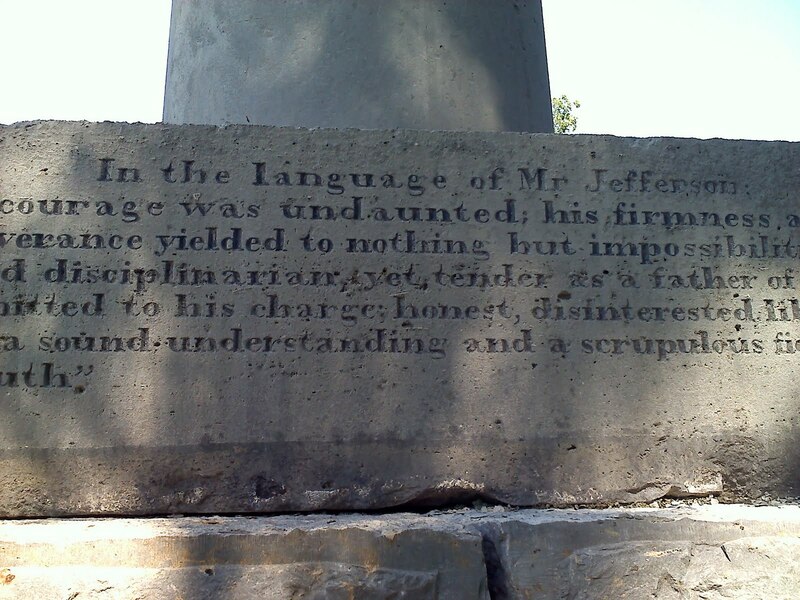 In the language of Mr. Jefferson, his courage was undaunted, his firmness and perseverance yielded to nothing but impossibilities. Rigid disciplinarian yet tender. Father of three. Committed to his charge. Honest, disinterested liberal with a sound understanding and a scrupulous fidelity to truth.